Tingley Storm-Flex Black Stretch Knit Waterproof Pants P67013 will keep your bottom half dry and comfortable in wet weather. 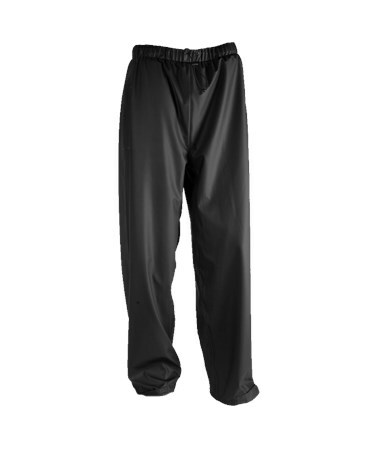 These rain pants won't restrict your freedom of movement, since they are made of high-stretch polyester knit material. The 0.40mm polyurethane coating keeps out wind and rain for 100% waterproof protection. Storm Flex rain gear (rain jacket also available) gives you stylish rain protection for work or play. These Tingley rain pants have a number of features for your convenience and wet weather comfort. The hook and loop cinch straps at the cuffs go tightly around your ankles to seal out splashes. An elastic waist with drawstring gives a secure fit on different sizes and figure types. There are pass-through openings on either side for access to your pants pockets. 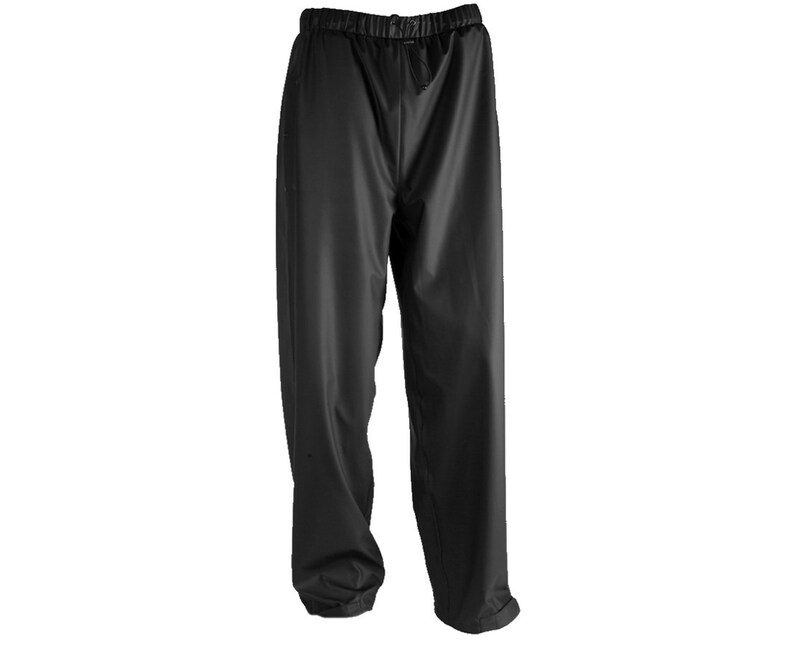 Tingley StormFlex rain pants are available in sizes S - 2XL, fitting waist sizes from 32” - 50”. Remember that these waterproof pants are made to go over your clothes, so take measurements over the clothing you plan to wear. Winter gear, in particular, will require several inches of allowance for proper fit. Please click on the “Sizing Chart” icon for sizing details and instructions on how to measure for your rain pants.